Over the course of the nineteenth century Folkestone was transformed from a little fishing village into a popular seaside resort, complete with large hotels to accommodate its many wealthy visitors, a theatre, bathing establishment and pleasure pier. `Fashionable Folkestone', as it became known, thrived during the golden years of the second half of the nineteenth century but its popularity with the rich and famous came to an end with the advent of the First World War, when it experienced a huge influx of refugees and its harbour became a prime military embarkation point. 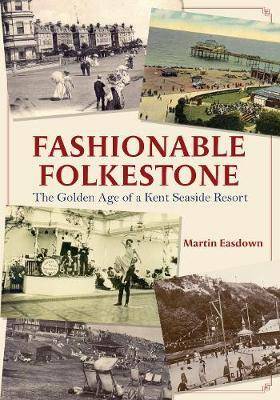 In this fascinating collection of images featuring the town's many grand hotels, Victoria Pier, the Leas, seafront attractions and entertainments, switchback railway and horse tramway from Sandgate to Hythe, local author and historian Martin Easdown illustrates the glory days of this famous old seaside town.